What the audience sees and hears at an orchestra performance is just the final product of what a conductor does. Those arm waving and traffic-cop motions are only a small part of the job. The conductor must select appropriate literature that meets the needs of the ensemble and delights the audience. I often compare the role of a music director to that of a manager or coach of a sports team. The coach must call the right plays for the talents of his team if they are to be successful. The fans (audience) may have their own opinions and like to discuss the plays or use of players but only the coach can determine what is correct for each situation. The great orchestras and fully professional ensembles have players with significant talent, skills, and training. The conductors of these ensembles do not have to spend much time concerning themselves with what the ensemble is capable of musically, but they do have to consider the musicians’ needs and work with their union representation. The music director is focused on the big picture. He or she has to think about the all the musicians, including guest soloists, the audience, and how one concert might fit into an entire music season. They also need to concern themselves with the business side of a concert. Marketing, finance, and general funding are important issues. Music groups with small audiences will likely fail over time. Another concern for the music director is the venue—should the ensemble perform indoors or outdoors, in a big hall or a smaller intimate setting? Music directors of student ensembles, community orchestras, and semi-pro groups have to think carefully about what their ensemble can do well. Over-programming, meaning too much or too difficult of music, can erode the musicians’ morale and chase away the audience. A competent music director, like a good sports manager, will plan to show off strengths and hide weaknesses. Some conductors can look showy on the podium. This may be entertaining from the audience perspective; however, the best ones have done much homework, planning, and preparation for a successful concert. 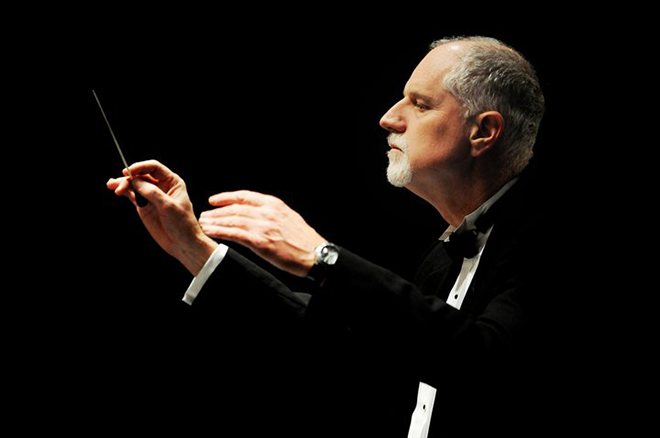 Want to learn more from the NY Phil conductor? Ozawa conducts Sesame Street Orchestra. Very well said. I sense your dedication and sincerity. I predict that our ensemble is in very good hands, indeed. I am not known to be talented, so please try to hide my weaknesses. Also, feel free to ask me to leave, if I don’t meet the standards and measure up. Despite having certain problems, such as poor vision, etc., I have always tried. As a former teacher, I found, that there is much more than just being a talented musician/individual. Promoting students and trying to make a positive difference, by not bullying, encouraging, enduring criticism, and consistency of best efforts/practices, seemed to make more of a positive difference, rather than being talented and meeting someone else’s expectations.